With a module conversion efficiency of 19.1%, BLACKSOLAR is one of the industry’s most efficient*1 residential-use monocrystalline solar cell modules. It first appeared on the market as a solar panel installed in a mobile phone launched in 2009. Although the basic technology form of today’s BLACKSOLAR already existed in that 2009 mobile phone’s solar panel, further technical innovations were required to mass-produce these modules as a power source for people’s homes. The keys to such technical innovations were to increase the amount of light received, reduce losses in electrical transmission, and reduce losses in power generation. Solar cells are comprised of semiconductors. Semiconductors emit “+” (positive) holes and “-” (negative) electrons when exposed to light. By connecting a P-type semiconductor where the “+” holes gather and an N-type semiconductor where the “-” electrons gather, current flows between the positive and the negative, like a battery, and electricity can be generated. 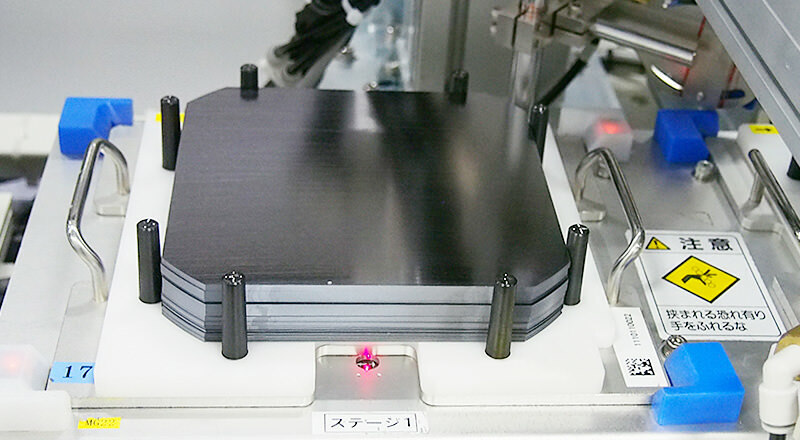 A conventional monocrystalline cell is made up of an N-type semiconductor with a light-receiving surface where “-” electrons gather, on top of which are wires that transfer electricity. 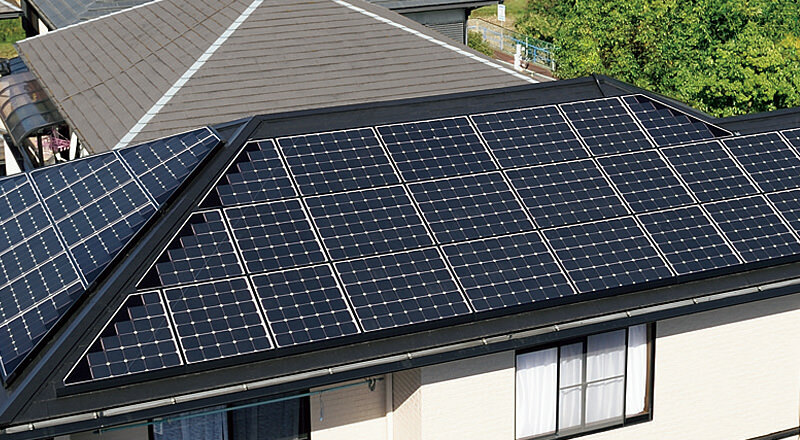 Wires reflect sunlight, and a typical solar module loses*2 about 6% of received light. Wires therefore had to be made as thin as possible. Conversely, in order to reduce energy loss during transmission, wires need to be thicker, but this would reduce the amount of light received. We therefore faced two conflicting challenges: increase the amount of light received while at the same time reducing loss during energy transmission. To solve this problem, we came up with the concept of a back contact structure. By installing all of the electrodes on the back, sunlight reflection could be reduced while maximizing absorption of light. This, however, required high-precision mounting technology. We devised a wiring sheet method to efficiently transfer electricity collected by electrodes. By using a back contact structure, in which wiring is on the back of the solar cell, the reflection of sunlight off the wires was no longer an issue and the wiring could therefore be made thicker (by increasing the number of wires). By using the entire back surface, which we call the wiring sheet method, we were able to reduce the loss of electricity by about 3%*3 during transmission. On the back, 200 or more electrodes of about 100 microns each are installed. It is extremely difficult to join the electrodes and wiring sheet so that the two line up perfectly. Since electrodes are thinner than hair, even experienced Sharp craftsmen had difficulty precisely joining these two together. 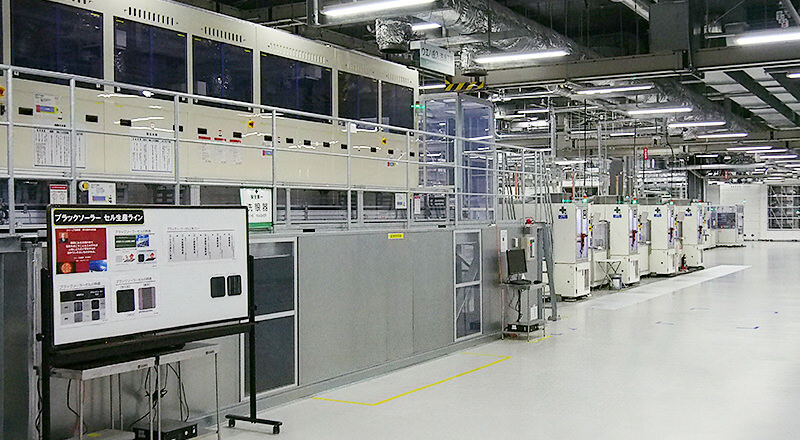 Sharp’s Sakai Factory showed its true strengths by coming up with a solution. Its many highly skilled engineers made use of more than half a century of manufacturing know-how to achieve automation on the production line. As a result, we were able to print thin electrodes lined up to an accuracy of 10 microns. This was the result of repeated improvements: everything from obvious processes like raw material selection and compounding, all the way to modifying the viscosity of the soldering paste. The wiring sheets that carry electricity are joined to the electrodes at a pitch of less than 1 mm. The electrodes and wiring sheets must be connected to an accuracy of approximately 30 microns. This is about 10 times more accurate than common solar cells. Thanks to the technical skills and know-how of the Sakai Factory engineers, we were able to realize the industry’s first wiring sheet method. By combining the wiring sheet method and the back contact structure in the BLACKSOLAR, we have achieved about a 9% increase in conversion efficiency compared to conventional modules. 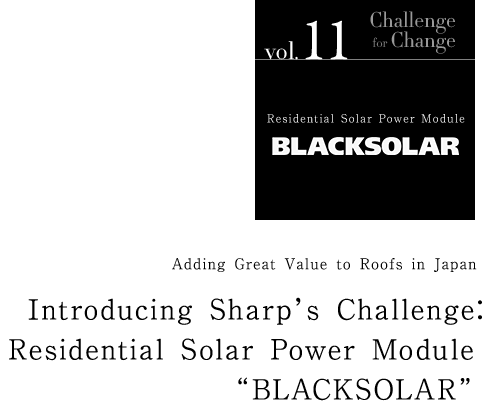 We believe that BLACKSOLAR represents the ideal structure for a solar module. 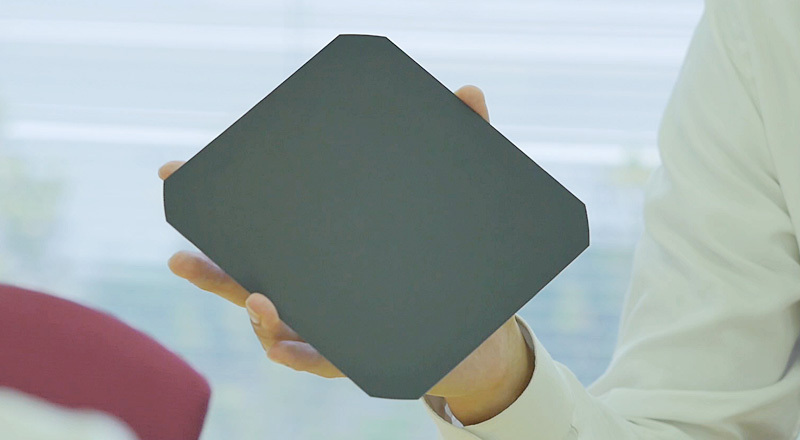 The solar cell surface has no electrodes, offers reduced sunlight reflection, and has a distinct black color, thus its name: BLACKSOLAR. We experienced energy losses due to re-bonding of the “+” holes and “-” electrons at the time of power generation. How successfully we could reduce this loss would have a major effect on how efficient we could make the solar cells. To solve this problem, we re-examined the materials that make up the re-bonding prevention membrane. After much trial and error, we succeeded in developing re-bonding prevention membrane formation technology, which is used to refine an electrically charged membrane. This technology was adopted in the NQ-220AE, a new series of BLACKSOLAR product released in late June 2015. Compared to a past product, the NQ-220AE reduces power-generation loss by 90%*4 on the light-receiving surface and by 75%*4 on the surfaces of the P-type semiconductors located on the back. This technology makes use of some of the technological successes achieved in business contracted under Japan’s New Energy and Industrial Technology Development Organization (NEDO), a public research and development management organization. The NQ-220AE achieves the highest efficiency ever. The next challenge was to increase installation capacity in a limited space. There are two keys to increase electricity production. The first is module efficiency made possible by the back contact method and other technologies. The second is installing many modules in a limited space. These two together constitute installation capacity. 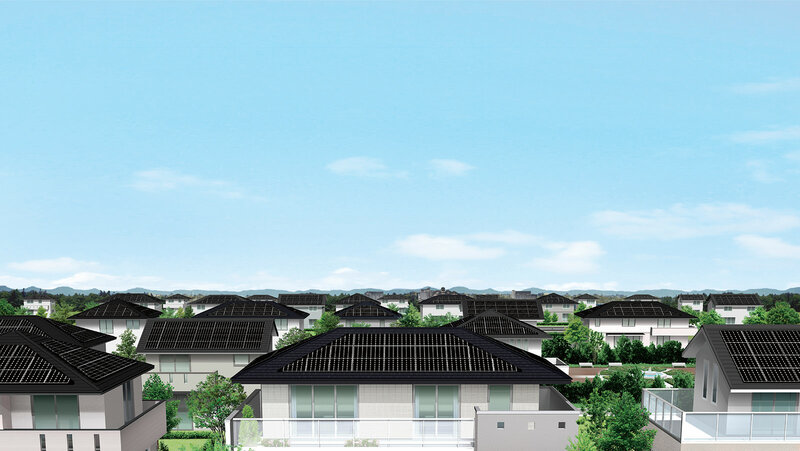 The hipped roofs and gabled roofs that characterize Japanese architecture are beautiful; however, they are not suitable shapes to fit square solar modules for efficient installation. We therefore conducted simulations and surveyed a variety of Japanese roof shapes and roof load performance, eventually coming up with a set of dimensions having the largest common denominator. Based on these dimensions, we developed four types of modules, including a panel for roof-corner installation. This is how we developed our Roofit Design, a method that enables the most efficient use of space for solar power generation systems—even on complex-shaped roofs. In addition, we have developed the Wide Range Power Conditioner, which in a single unit can handle a wide scope of input operation voltages, thus making it possible to increase installation capacity even on roofs with both small narrow sections and large wide sections. Japan spans about 3,000 km from north to south and encompasses numerous climatic regions. Besides the temperature differences throughout the four seasons, there are areas of extreme weather conditions, such as coastal areas, regions with heavy snowfall, and areas that frequently experience typhoons. Solar power systems must therefore be developed to withstand these many types of severe weather. 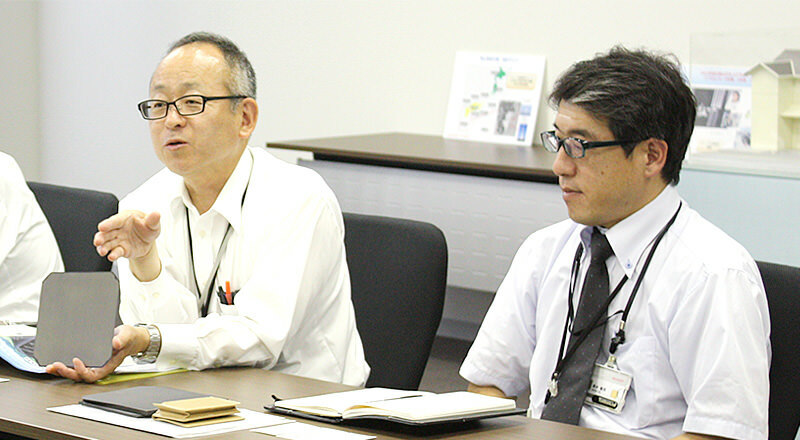 To this end, Sharp has developed a unique quality assessment standard called QTSS (Quality Test Standard of Sharp*5). QTSS has been awarded with a certificate of conformance*6 from the VDE*7 (Association for Electrical, Electronic and Information Technologies), Germany’s largest association for the electrical and electronics industries. 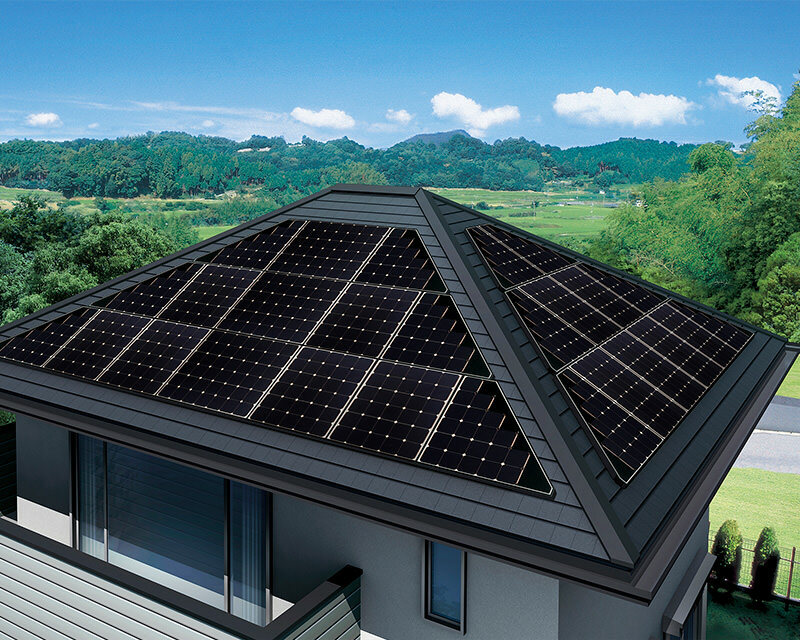 Sharp’s unique QTSS is the culmination of over 55 years of solar power development and installation experience. It is anywhere from several to 10 times as strict as standards*8 stipulated by the IEC (International Electrotechnical Commission), an international standardization organ handling electrical- and electronics-related technologies. QTSS also comprises tests developed and conducted only by Sharp and not included in IEC standards, such as repetitive wind pressure testing that simulates ocean-based and mountainous installations, and avalanche testing simulating the situation in heavy snowfall areas. 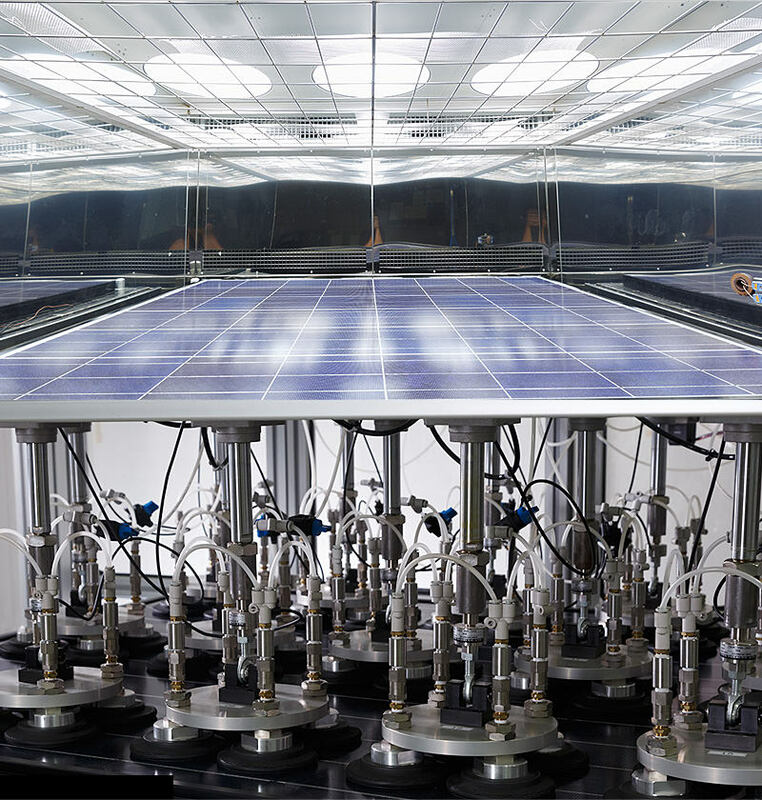 *5QTSS: Test standard developed through repeated accelerated life testing based on vast amounts of data from Sharp’s more than 55 years of solar development and installation experience. QTSS is several to 10 times as strict as standards stipulated by the IEC, and it comprises tests developed and conducted only by Sharp and not included in IEC standards. *6Acquired for the NQ-201AD Black Solar. *7VDE: Established in 1983, it is Germany’s largest association for the electrical and electronics industries. Formulates national standards for Germany’s electrical industry and carries out safety certification and testing. *8Standards stipulated by IEC (International Electrotechnical Commission), an international organization for the preparation and publication of standards for electronic, electrical, and related technologies. Refers in this case to IEC61215 (ed. 2) for performance and reliability testing and IEC61730-2 (ed. 1) for safety testing. We had to overcome a lot of challenges to develop BLACKSOLAR, but product installation is hardly the end of the road: there’s also the all-important after-sales service. We thoroughly train our installation contractors so that customers everywhere in Japan will be at ease knowing they are getting high-quality installation. Installers who complete our training are given a certification ID and they are the only ones allowed to install Sharp solar power systems. Besides acquiring knowledge and installation techniques for solar power systems, trainees get actual practice installing systems on model roofs made of a range of roofing materials. At our 70-person CAD Center, installation contractors are provided with CAD data (such as module installation layout) that will allow them to install systems for their customers that are not just efficient but also visually attractive. Sharp was the first in the industry to provide web monitoring, a unique service that uses the Internet to monitor the operational status of customers’ solar power systems after installation. 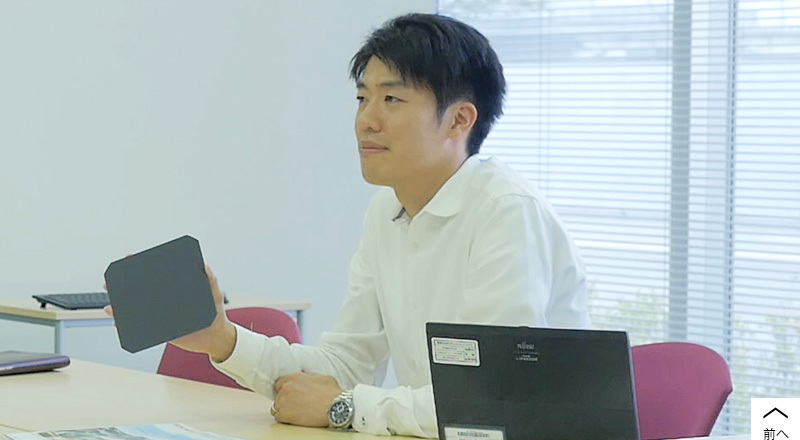 When a problem is detected, solar technical meisters stationed at 90 services bases around Japan use their specialized skills and knowledge to solve the problem. We also offer our free-of-charge Premium Warranty, an industry first that offers a 15-year warranty on peripheral equipment and a 20-year warranty on the modules. 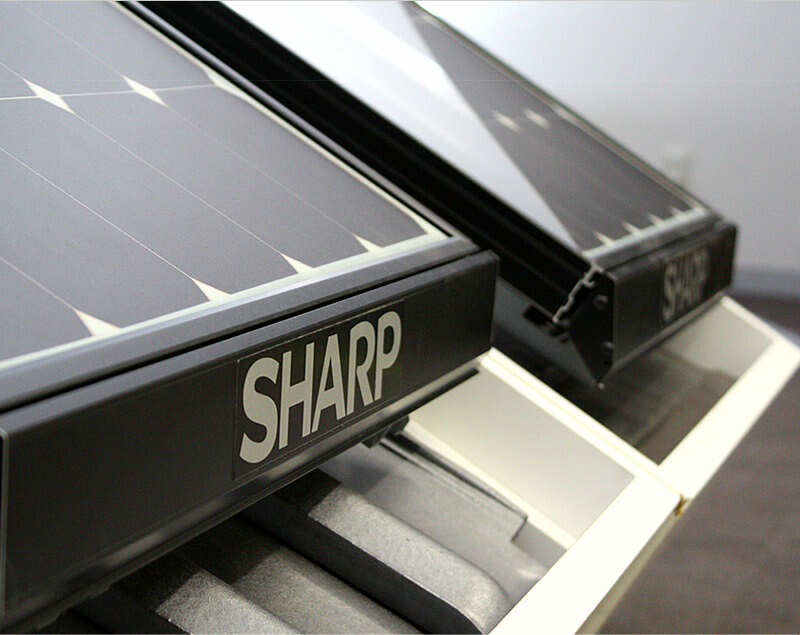 Sharp has been developing solar cells since 1959 and, since the start of their practical application, has achieved a cumulative total output of 10.3GW (as of the end of 2014). If the modules to produce this amount were lined up, they would stretch around the Earth at the equator*9 and longer. Under the slogan ‘Energy: make it, save it, use it wisely’, Sharp is developing total energy solutions that include everything from cloud storage battery systems for charging and selling solar energy to HEMS (Home Energy Management Systems) that connect electric and electronics products in a home. Sharp can provide these solutions because of its status as a comprehensive electronics manufacturer possessing consumer electronics and communication technologies. To make tomorrow’s technologies a reality today, Sharp will continue to take on challenges in manufacturing that will make possible more widespread use of solar power and other renewable energy sources.